Understanding autism social skills for your adult sibling presents a challenge for you and any future caregivers. The often unpredictable behavior of autistic adults can be an obstacle to smooth functioning in public settings. There was an incident in Wal-Mart in Wichita, Kansas that highlights the concern. Reported by Alana Rocha for KWCH Eyewitness News Channel 12, a 6 month old baby was crying, and was then hit in the head by a 28 year old male, an autistic adult. The baby was struck hard enough to leave a bruise. The police were called and the incident ended peacefully. The baby will be fine. The problem is that the fear, misunderstanding, and lack of support on all sides needs to be addressed. The mother of the baby was understandably upset. She said, "I don't want him in jail. I just want him off the streets so he doesn't do it to someone else - for his own safety." In an interview, the mother of the son with autism said she knows she doesn't have full control of her son in public. Tearfully she said, "What am I supposed to do?... I would just like society to tell me what to do." An interview with a social service agency continues to focus on many of the relevant issues. Connie Coulter, of Heartspring Services in Wichita, pointed out that many of the adults with autism never had services or interventions as children. Their autism social skills are very limited. 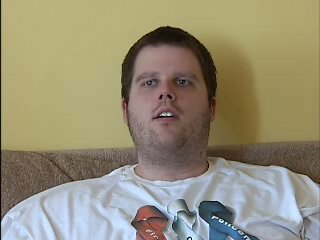 This young autistic adult was probably overstimulated by the crowds and lights of Wal-Mart. Then he became upset by the noise of the crying baby. Hitting the child was not an attempt to hurt the child, but to stop what was causing the sensory overload. As a sibling of a special needs adult, you and any future caregivers need to start the conversations with your aging parents now. The autism social skills of your brother or sister need to be talked about in great detail. What social/public settings does your brother enjoy most? What behaviors would cause others to stare or be upsetting to them? What quick explanations have you developed to make it a safe space for others and for him? What places have you noticed are particularly distressing? Lights, loud noises, crowds, babies crying? How is he around children? babies? dog or cats? other animals? What are the signs that she is getting upset? How do you know when she's had enough? What are some of the things she will do to calm herself? What are some things that you do to calm her? What are some of her escalating behaviors? If you were to describe each sign of frustration as a rung on a ladder, what's the first rung? Second...? What are the most extreme behaviors that you have seen? If things do spin out of control -- how would you handle it? Have you ever had any interactions or interventions with the police? Have the police in your neighborhood had special training in dealing with adults with autism? How is she with traffic? watching for cars and crossing the street? obeying traffic signs and crosswalk signs? What special settings should I know about: airplanes, elevators, escalators, trains? How about water, swimming or boats? What special accommodations or arrangements do you need to make for her when traveling? In addition to the talks, arrange to spend time in the presence of your sibling. Not only at home, but in various public settings. Watch closely how he or she interacts with the environment. Watch how your parents handle various situations. And especially, spend some time where YOU are the primary person helping to manage your sibling's autism social skills. You need to gain the practice, and your sibling needs to be comfortable looking to you for guidance and direction. Your aging parents will also be reassured that someone else understands the intricacies of their special care. Finally, get a list of all the programs and services that your parents presently use with your sibling. Work with your folks to research any other programs that might be available for developing autism social skills.